Set in 1945, Cathy is anxiously waiting for the return of her fiance from the war. A few months ago her sister was killed in an accident, leaving Cathy to bring up her young nephew. On his return, Cathy is faced with the decision of whether or not to tell Alex about the baby. Sadly, he finds out from somebody else and doesn’t believe the baby is not Cathy’s. After the engagement is called off, and Cathy learns of the sinister actions of Alex, she is left to build her life. Will she ever trust a man again? Home is where the heart is was one of those books that I was unable to put down. Having said that, be warned that a few late nights may be imminent. The story had my attention from the very first page, not only is it set in a period of history that I enjoy, but it shows a completely different angle than similar books. I believe the history to be correct, and the sinister turn of events gave the book more depth. Cathy and Alex are both very well developed, making it very easy for me to imagine that I knew them. I particularly liked the relationship between Cathy and her nephew. Alex is the kind of man that we all love to hate, but because he is recently back from fighting the war, it kind of feels wrong to see him in a negative way. I thought this in particular was very cleverly written. The storyline, although in great depth, is written at a good enough pace to prevent confusion while not being to slow. It was easy for me to picture the scenery, and to imagine the feelings of all the characters. Overall I would recommend this to pretty much anyone, especially if you enjoy historical, crime or suspense novels. Enjoy. 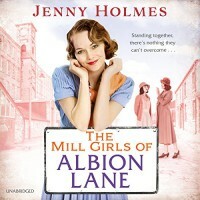 he Mill Girls of Albion Lane was a captivating tale of life in the 1930’s and the Mill Industry. 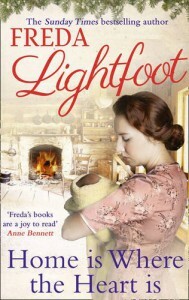 Fans of Margaret Dickson and Call the Midwife will definitely enjoy this book. Set in the Bradford Mill Industry of the 1930’s we meet Lily, the eldest daughter of the Briggs family. Lily has worked in the Mill since she was 14 and is the middle daughter of a mother who tries her best and a drunken father. As well as learning about life during this period, and specifically the industry, we follow Lily and her family through some serious adversity involving health, betrayal, love, fear and the criminal justice system. When things get tough, we see how the mill community comes together to offer support. I was captivated to the story throughout, crying on many occasion. I highly recommend a big box of tissues toward the later half of the book. At one point I cried so much I had to stop reading! To me that is the sign of a great story-teller. All the characters are well-developed, making it easier to imagine them and to develop a kind of relationship. You believe everyone you see to be real, feeling anger and hatred to some, and love toward others. Each and everyone of the characters could be someone you know. I especially enjoyed the relationship between Lily and Billy, although that was where most of my tears came from. The not so likable characters like her uncle and cousin really got my hackles up! I feel the story itself is well enough paced. Although I found the first part of the book a little slow, the pace picks up nicely as you move on, passed the preliminaries. The history is well researched and accurate. Overall, I think just about anyone would enjoy this book. Enjoy. E.Q. Librium was an interesting book if you are looking to learn about what your E.Q or Emotional intelligence is and how you can improve it, and improve your work life. 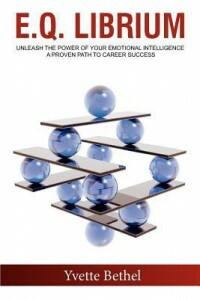 I thing this book was primarily written for the workplace and specifically to managers. As the book frequently refers to management techniques. The book is fairly easy to read, with any jargon explained in boxes throughout, there are plenty of case studies throughout demonstrating how the techniques explained actually work, I found these particularly helpful. E.Q. Librium is divided into 2 parts, with part 1 being the explanations, this was the part that had me yawning by the end as I found a lot of it rather boring. The second part is more how-to and explains what you need to do to put the theories into action, although this was more interesting, actually finding the steps to take was hard as it wasn’t always very clear. 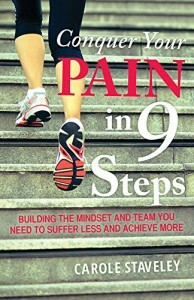 en I saw Conquer Your Pain in 9 easy Steps I contacted Carole and asked her if I could review it, I’m so glad I did. Carole had struggled with chronic pain for 13 years before she was finally able to formulate a plan that helped her to not only deal with her pain but to return to an athletic life as a tri-athlete! WOW. Carole has written us this book to show us how she managed this, she guides us through her plan and offers encouragement and support throughout. The book is divided in three sections, the first is about finding your ‘why’. Why do you want to feel better, and I don’t mean just to ‘feel better’ but why? Carole helps you to figure this out with her help, guidance, and her use of real world case studies, both her own but also of others she has worked with. Next up she guides you through the myriad of issues you will encounter from the medical profession, she shows how to find the right people to support you, both professional and not. As well as how to ask the right questions. Finally she helps you to persevere and put everything into practice. The last couple of chapters guide you on how to become a tri-athlete if that’s your goal. Not mine admittedly but maybe yours? I loved Carole’s tone throughout, at no point is she condescending, she is friendly and encouraging and explains her points thoroughly using not only her own experiences but quotes and case studies of others too. I did find some of the chapters irrelevant for me in the UK, as we don’t have much choice on doctor’s or the hospital’s we can use, known as the postcode lottery over hear. Our choices depend on where we live. Apart from that, this is a book well worth reading for both patient and medical professional alike. Overall, if you or anyone you know, lives with chronic pain this is a must read! Superb I think is the word to describe High Tide. 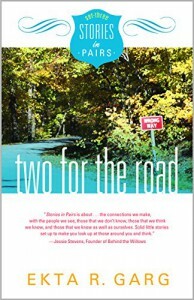 Set in a Cornwall coastal town, we follow Kate and Vanessa as they deal with life after bereavement, while simultaneously learning more about the other town residents. Kate is a high flying party planner who returns home from New York after her mother dies. While Vanessa, being the ‘rich girl’ of the community buries her husband Spencer. Throughout we get to watch as they come to terms with their new life, with more than a handful of surprises along the way. All the characters are extremely well-developed and easy to relate too. Although Kate and Vanessa are the two main characters, I have to say I loved Mary Mac the best. Not only is she well written, she is someone I can really relate too. Mary is Vanessa’s housekeeper, and sole breadwinner. She lives with her unemployed husband and his mother Ruth. Ruth is self-centred and very inconsiderate. Much of what happens in Mary’s story mirrors my own! “I remember when I threw up all over your parents couch after your party,” she said. (Debbie) “We’d been drinking that punch all night and it was lethal. Your mum make me clear it up. But then she put me to bed and she was really kind. Sadly, however, I didn’t find everything to be so good. In particular the head hopping between the characters different stories. I found myself rereading pages, thinking I might have missed something! I soon got the idea and found this easier to deal with as the book progressed. Overall, I have to say Veronica is now on my favourite authors list. She kind of reminds me of Maeve Binchy, who I love because of her ability to draw you in. Veronica is exactly the same, except High Tide is in Cornwall not in Ireland. 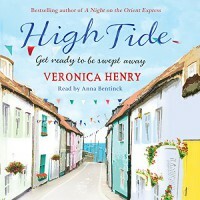 If you’re a Maeve Binchy fan then I can promise you will LOVE High Tide. Even if you’re not, this is definitely a book for the must read list. Enjoy. 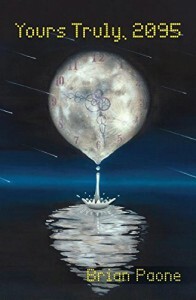 ere’s a time travel book that will have your head spinning! 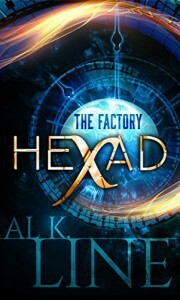 Hexad: The Factory is one weird story. Imagine deciding that there is time travel and to prove it you dig up the proof, which you have left in the garden ten years later! That confusing enough for you? Ok so yeah, this story basically says that in 10 years time they will come back to tonight and bury proof in the garden which you will dig up in the morning. Well anyway that’s basically it, except things get a lot more complicated when you add in all the Paradox’s and parallel universes and such. This really is one confusing story to follow. Having said that though, I loved it! I had to use my brain and really think about Amanda and Dale’s actions, could this happen, what would happen if they did such and such? Fascinating. Amanda and Dale are both great characters, they are well-developed and very easy to relate to. wo for the Road is the third set of story’s from Ekta Garb, and they do not disappoint. 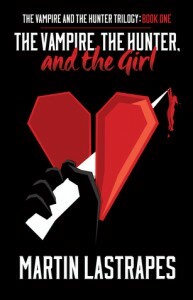 This third book introduces two completely new stories, and characters. The first ‘Excess Baggage see’s an exhausted Allison returning from a business trip and wanting to just flop out and relax. But when her bestie call’s asking her to put up her sister and boyfriend until they fly of to Spain, relax is one thing totally of the menu! Next up was ‘Wrong Way’ where we meet Rachel and Jim, they are travelling down to Florida to ‘check on’ Jim’s mother. Rachel is NOT happy with the plan and feels Jim is over-protective of his mother. Boy could I relate to Wrong Way! As always Ekta’s story’s are well written, and well paced, you get the feeling that these characters are your friends, and the story’s are really happening for real. I know Wrong Way happens in my family plenty enough! Ekta has a way with words that can pull you into just about any story she could think up, making it real. Her story’s are basically about real life. If you’ve not ready any then I suggest you check this book out. Enjoy. 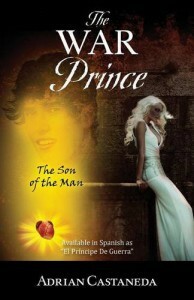 he premise of the War Prince is a good one, but sadly in this instance, was not well executed. Basically the story is that Anthony Cast is born alive only thanks to Adrian (an angel who guards heaven’s gates) gives him his own heart. 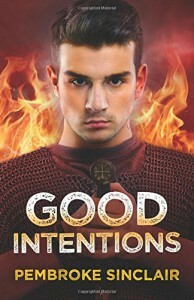 Anthony is destined to have a new son, who will be Adrian reincarnated, he then has to protect him from evil until old enough to take back his role as an angel. Sadly, I found getting through this book difficult, the writing is very poor, and needs a lot of editing. The characters are interesting and reasonably well-developed which made it easier for me to get to know them a little. The story line itself felt rushed in some places and way to slow in others, I was a little confused about what was going on at times as things seemed to be a little muddled in places. Overall, a great premise but some work is needed. 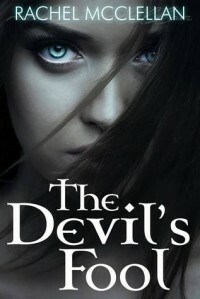 The Devil’s Fool is another one of those books that you just will not put down. You will be sucked right into the story from the off. Eve’s parents are the most violent witches around and try to force Eve to use her own powers, but she refuses. That’s until she meets Boaz who shows her love, life and excitement. Sadly though Boa isn’t who he seems to be and Eve soon realizes she needs to enlist the help of the Deific to escape his clutches. As I say this book will have you hooked immediately, the story is well paced with plenty of excitement, along with a few twists and surprises. The characters are well-developed, making it easy for me to relate to Eve and everything she is feeling. Boaz is an interesting character, one you will love at first but soon grow to despise. My only criticism is the end, it came to fast and way to abruptly! I am waiting anxiously for the next book, I hope it won’t be too long a wait! 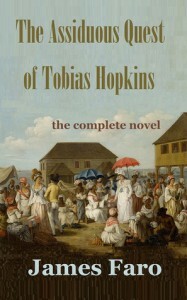 e Assiduous Quest of Tobias Hopkins follows Tobias as he sails to Jamaica in the 17th century in search of his father. He finds more than he bargains for and finds him on another mysterious quest. The problem is others are interested in this quest to! Historically, this book transports you back to Jamaica and it’s 17th century culture, very accurately I think. The story flows well, with plenty of excitement, action and intrigue. Watch for the suspense though and more than one or two mysteries to solve. All the characters are well-developed and believable ensuring that you can identify with each and every one. Feeling the fear and suspense they go through too. ish to Dare is a short novella that packs one big punch! When Dean wakes up from his 2 year long coma, he decides to change his life. From a womanizing party animal this football star decides to become a role model to others. The only snag he has is his poor decision making processes, what will happen when he meets Leslie, a football blogger. 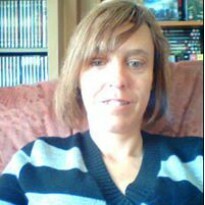 And what will Leslie, who is career orientated and recovering from heartbreak, make of Dean? This is the first I have read from Tracy Sharp, but if this is the kind of thing she writes, I’d love to see a full length novel soon. 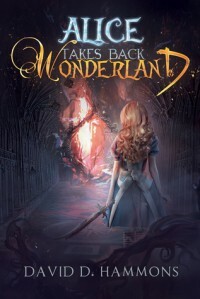 The characters are all well-developed, even within so few pages and the story line is well paced, keeping you wanting more. 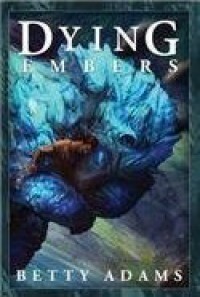 o say Dying Embers is confusing is an understatement. I found this book extremely difficult to follow from the beginning. Some of the characters had two names which made getting a grasp on any one of them impossible, this meant that I was never able to connect. The concept of the story is good, the idea of shape shifting aliens living among us, is a concept that I love. Sadly in this instance I was unable to establish who exactly they really where, what the looked like, where they came from etc. There are parts of the story that are sad and heart-wrenching, specifically about the embers themselves, but that wasn’t really enough to make the story good. Overall, I can’t honestly say that I would be able to recommend this book to anyone. Sorry. Not the best Science Fiction book on the planet, but Yours Truly, 2095 certainly had me thinking. The story follows Jeff who wakes up in 2095 after a conspiracy from the future. He has to learn to live in this new world, with all its changes of technology and the way of living with his android ‘wife’ Jo. While simultaneously learning about the conspiracy and fighting to find his way back to the 1980’s. Jeff is an interesting character, who takes his enforced time travel at lot calmer than I would! He is reasonably well-developed, but I would have liked to know more about who he really is. I wasn’t really able to connect with him as well as I would have liked. Henry however is not so well-developed, but still likeable, Jo, the android ‘wife’, is an interesting concept. I loved how her changes affected her behaviour, but they left a few to many questions for me. The plot is interesting to say the least, I’m not sure how believable it is; no greenery and only artificial plants? If that’s what’s to come, no thank you. Having said that, I loved the idea of the daily news tab thing, the flying cars and some of the other technical advances, but again believable? I don’t know, maybe. The story is well paced with some romance, intrigue and excitement which kept me hooked throughout. I think this is a great book for a Science Fiction fan, possibly a younger one. Enjoy.